Soils underneath lawns can become hard for many reasons, most often it is simply due to the regular use of the lawn, which causes the soil to become compacted. There is usually a simple fix, with lawn coring being the most suitable solution. Certain soil types are also more prone to becoming hard more quickly and severely. In these cases the solution may be somewhat more involved, or even costly depending on what the lawn owner wants to achieve as a long-term solution. Compacted soil is the most common reason why a lawn may become hard. Lawn compaction occurs over a long period of time, when people walk on them, children play, and in some cases when cars are driven on them. Over time the soil becomes more and more squashed and compacted, until eventually it becomes more difficult for the lawn to set down roots into the soil. Problems continue when vital oxygen can no longer penetrate the soil, and even water can no longer filtrate through the soil effectively. The result is a very sick lawn. 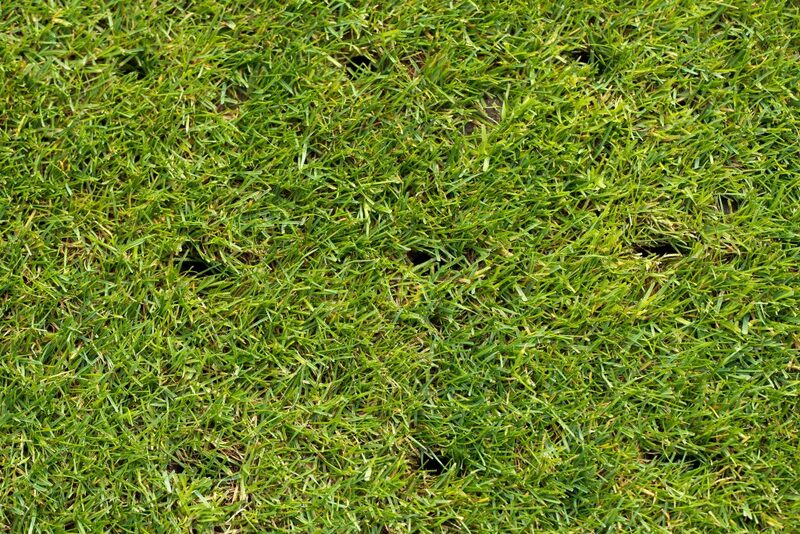 Lawn Coring punches holes into the soil and removes plugs of soil. Coring the lawn will aerate the soil considerably and is the first method to use. Lawn coring is best done in either spring or autumn, and is followed by an application of Wetting Agents and a quality Lawn Fertiliser. Clay-based soils should have an application of a Gypsum Clay Breaker at this time also, this allows the Gypsum to get directly into the soil to break up the clay. A Rotary Hoe can be used when the lawn is all but dead. A generous quantity of sand or sandy loam is applied to the surface of the soil, along with some Gypsum Clay Breaker, and the soil is tilled with the Rotary Hoe to create a new soil profile which is far more suitable to sustain healthy lawns. Caring for hard soils should be an ongoing process which simply involves regular applications of Wetting Agents and Gypsum Clay Breaker Twice a year is generally sufficient, but can be repeated more often if desired. The type of soil under lawns is also a very important determining factor in whether they become hard, how often and to what severity. Clay-based soils and other poor soil types will often become more frequently hardened with the lawn suffering as a result. For these soil types, the first solution would be to continue the processes of lawn coring, adding Gypsum and Wetting Agents, but doing it more frequently as required. Longer term, although a more expensive solution, involves removing the poor soil where the lawn will be laid, and replacing to a depth of 10 – 20 cm with a quality lawn soil from the local garden supply centre. This will create a long-term soil support system which will result in healthy lawns for years to come.